New head, redesigned to improve the flow of air and thus increase cooling and ensuring an optimal center of gravity. The crankshaft is grinded to increase the mixture flow and has a special shape to reduce turbulences inside the crankcase. The balancing is done by three inserts made of tungsten alloy and the inlet has a silicon filling to reduce the weight of the crankshaft to improve acceleration. The durability has been significantly improved with the DLC coating. This alloy venturi is specially shaped to minimize the boundry layer build up. 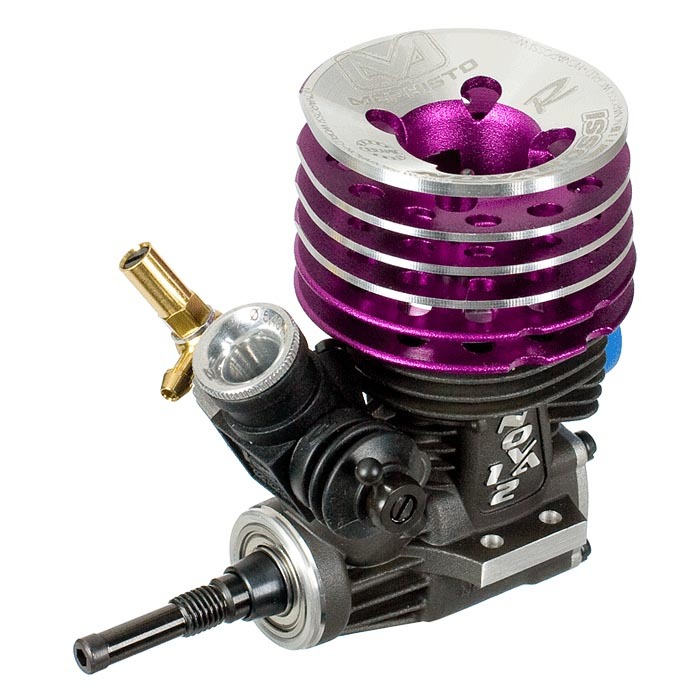 With this special shape it will maximize the potential performance out put of your engine. The rear ball bearing has high quality steel balls to minimize wear and inertia to improve acceleration and fuel consumption.